Note: I realize the focal length shows 50mm on the side, however, I was using my 100mm macro lens. I think that’s a downside of freelensing! 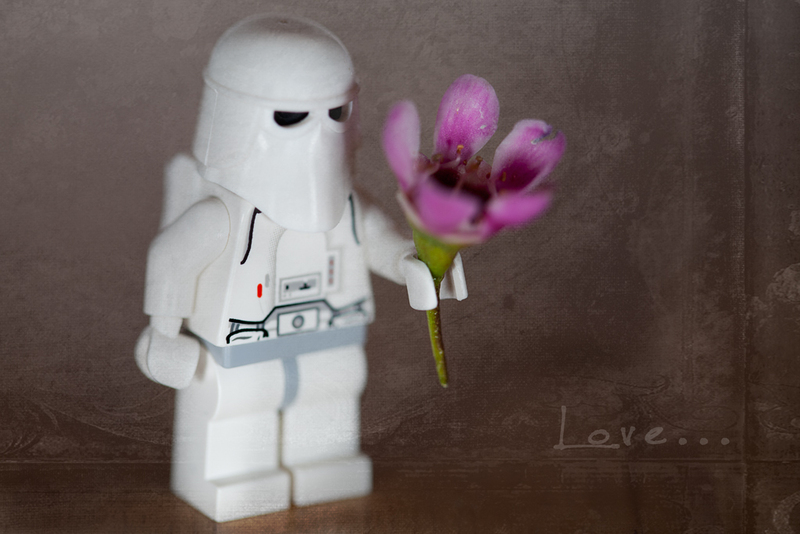 Thank you everyone for your comment, I will bring my Imperial buds out of their rest soon…. Very funny composition and DOF ! Thank you very much for visiting and commenting, hope to see you around more! Ha ha. I can imagine one of them coming across a Jedi with a lightsaber and all he has to show for it is a Wax flower. Wow, thank you very much Nia! I really to think perhaps one of the greatest compliments is when I hear that one of my images has inspired someone to try something new (or try a technique again)! !